I’m not an expert when it comes to alcoholic drinks. Actually, let me be even more clear… I barely even drink. I know, a strange declaration coming from a chef, an industry that is renowned for alcoholics. Somehow I survived through university and years in restaurants without even touching a drop…. a constant source of wonder and entertainment for my friends and co-workers. However, being older now, and traveling a lot more, I’ve started to sample more, and learn more about booze. Susete and I have actually built quite the bar collection at home… one that we’re pretty proud of. Travel does a funny thing to a person. It leaves you open to new experiences, new people, new cuisines… but when it comes down to it, it’s probably the peer pressure I received on our various adventures through Europe that got me starting to drink a bit more now, and I have to say… as a chef, it’s done be a lot of good. I still barely drink, but I’ve now opened up a whole new world of flavours and facts to keep my knowledge-hungry mind working. With much of my culinary and cultural learning over the past few years being focused on Portugal, it’s no wonder that I now have such a strong new interests in wines and spirits. This is a country that has one of the oldest alcohol-making (and drinking) cultures in the world, yet has always been very underestimated, constantly living in the shadows of it’s larger neighbours of Spain, France, and Italy. With Portugal experiencing a sort of renaissance in the travel industry over the past few years though, it’s treasures are slowly coming to light, and one of its newest industries, gin-making is starting to put the world on notice. 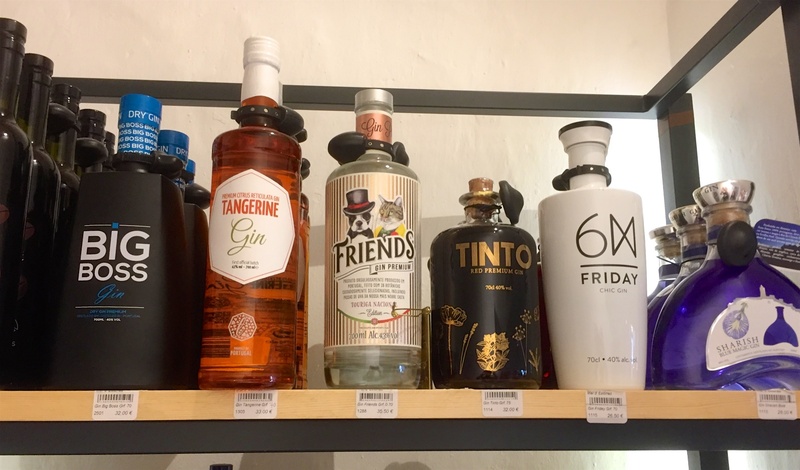 On a previous research trip here a couple years ago, I wrote another post about Portugal’s underestimated gin scene, and in checking my website stats lately, I’ve noticed that it’s that article that is surprisingly one of the most popular to this day…. and so, with more research done, more experiences had, and more knowledge I offer you a follow-up on Portugal’s still underestimated, but now booming world of gin-making. When it comes to alcoholic products, there’s no doubt that Portugal is best known for its Port wine. Greater than just port itself, Portugal is hands-down a wine country, with plenty of excellent quality affordable wines available anywhere you go. Even the cheapest, dirtiest store or bar will have a pretty decent wine select available… it’s that important to them. However, over the past few years, other drinks have been weaving into the fabric of the Portuguese drinking scene. Creative and modern cocktail bars have gone through a sort of revolution here, with some of the best bars I’ve seen anywhere. The super classic ginja (sour cherry liquor) has been revived as tourists flock to try this uniquely Portuguese product. Local craft beer producers have been popping up everywhere, and various liquors, many made with high quality aguardente (basically, moonshine) used as their bases are infusing the marketplace. Then, of course there’s gin. Once relegated to the old men in musty bars, gin has seen a massive resurgence all over the world lately. Bars everywhere, both in Europe and in North America, and bringing back this classic spirit to be young and hip again. In Portugal, gin is being used in fancy and creative cocktails, at the many innovative bars, especially in Lisbon, but it’s the good old Gin & Tonic that rules here. Every single bar has a gin & tonic, but they also make sure it’s not a forgotten about drink, as they put a lot of effort into specializing the garnishes based on what type/brand of gin is used. The G&T has become my drink of choice when I do decide to partake, and while in Portugal, I’ve made it a sort of mission to try it in different forms at different places, using various brands of Portuguese-made gin. Gin-making in Portugal is a relatively new endeavour. Big Boss was the first local brand to pop up. It’s one of the most versatile and commercial of Portuguese gins and they now offer several different variations. 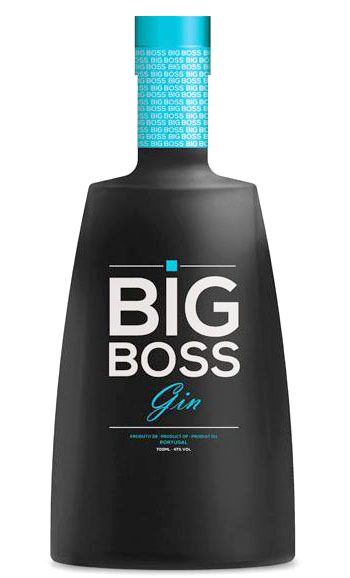 Soon after, other starting following such as Não (produced in partnership with a London-based distiller), Templus (Portugal’s first purely organic gin), and the one ruling the market right now – Sharish. Based in the town of Reguegnos de Monsaraz, in Alentejo, Sharish was the brain child of a tourism teacher who actually used to teach at my friend’s high school. 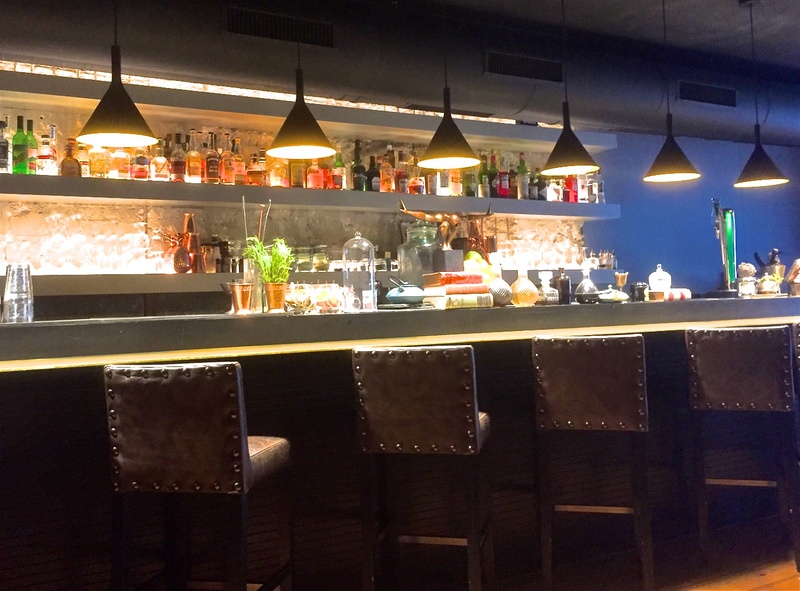 Antonio Cuco’s family had a restaurant where he used to help out, and his interest in gins led him to amass quite the extensive collection at the restaurant. After some prodding from friends to make his own, he finally took up the challenge, experimenting with a pressure cooker in his home kitchen, finally coming up with the recipe that was to be the base for his new company. 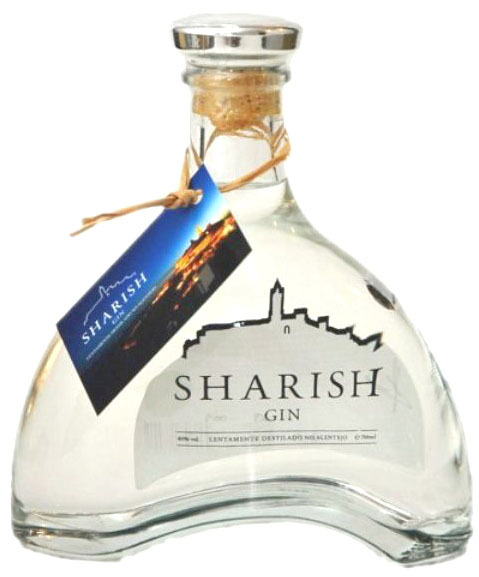 Sharish gin has skyrocketed to take over the gin scene in Portugal in only a couple short years, and along with their classic product, with the proud Alentejo maça (apple) Bravo de Esmolfe as its central flavour, they also now offer more specialized products such as the very unique Sharish Blue Magic Gin. Yes, it’s blue, and it’s no gimmick. 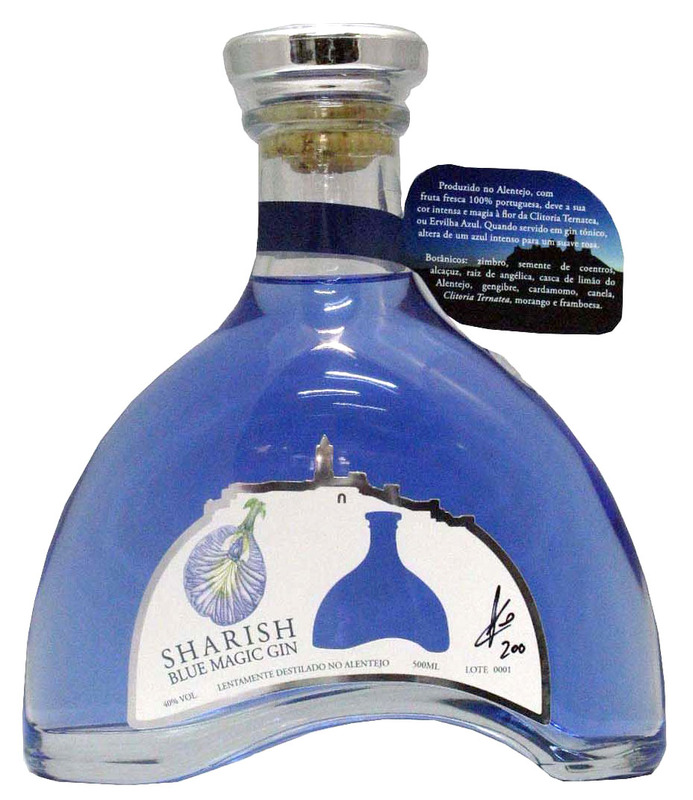 Bright coloured booze is usually seen as crappy cheap party drinks, but this innovative creation uses the locally grown “blue pea” flower to produce its signature colour. To top it off, when tonic water is added to the gin, the blue suddenly turns to pink. Garrafeira Nacional, one of Portugal’s leading liquor stores currently has on offer about 40 different Portuguese-made gins (about half of them being variations of a brand, not 40 separate brands), with something to offer for everyone. Gin may not be a historically Portuguese drink, but one thing I find the Portuguese do incredibly well, is take that no matter what they are making (booze or food), or where it’s from, they make in uniquely Portuguese. Unlike Toronto, where we find the need to import literally everything in order for it to appear “authentic”, the Portuguese do in fact make things that are from other countries (international cuisines, etc), but in doing so they highlight local Portuguese ingredients. Their gin is no different. Many of the local Gins highlight Portugal’s winemaking history by infusing Portuguese grape varieties into their products. Friends Gin uses Touriga Nacional grapes, Edmundo uses the Alvarinho. Other local gins focus on botanicals that are grown in their home regions, like Eucalyptus, lemon, and tangerine from the south; wild juniper from the mountainous Serra da Estrela region, and orange blossom, pennyroyal and many other herbs vegetables and fruits from all over the country. Another recent discovery that was pretty cool for me is Gin Bollota – which uses the acorns (bollotas) from the oak trees in Alentejo…. the same ones that the world famous Iberico black pigs eat to give them their signature fat content and flavour. Even the Azores is getting in on the action with two producers on the island where my in-laws live, São Miguel, who take advantage of their location smack dab in the middle of the Atlantic. Goshawk Gin and Gin Rocha Negra use botanicals grown on the island in the black rock volcanic landscape. There’s just so much to say about Portuguese gins, but as I said, I’m really no expert. I’ve come to really like Portuguese gins, due to their variety, as well as their ability to focus on locality. Unfortunately, these aren’t being exported yet, and none of them are available at the LCBO in Toronto. 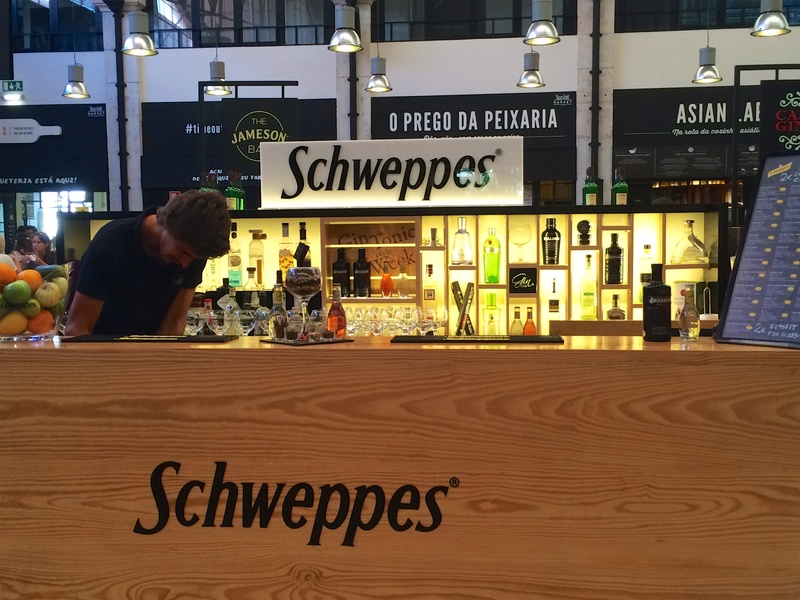 Your best bet is to just go to Lisbon, hit up a good bar like Gin Lovers, Vestigus, Double 9, or Red Frog or Topo. Visit the liquor stores and be amazed at just how many Portuguese gins are available and the quality that’s on offer, and you will be enlightened.